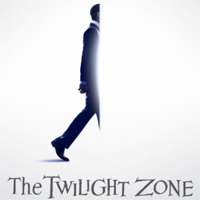 Showing 1 - 7 of 7 articles tagged "Rod Serling"
"The Twilight Zone is essentially Aesop with a 20th-century imagination. “I was terrified,” Peele tells Variety. How relevant is The Twilight Zone now? Ken Jennings on Jeopardy! 's James Holzhauer: "It's absolutely insane what he's doing"
James Holzhauer on his Jeopardy! critics: "I assure you that everything you see on TV is kosher"
Is Simon Cowell really doing a reality show set in Antarctica? Copyright © 2019 Snugglefish Media. All rights reserved.